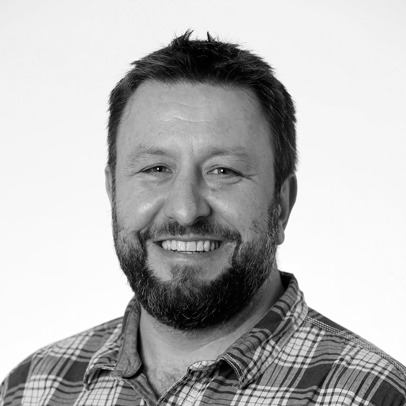 Mr Wyn Griffiths BA, MSc, FRSA, Senior Lecturer, Middlesex University, Department of Design Engineering and Mathematics, School of Science and Technology: Wyn Griffiths is course leader on the BA/BSc product design at Middlesex University and Co-Founder/Co-Director of SMASHfestUK. He has over 25 years in product design and engineering and design education. He is a Lead Mentor for the Design Council SPARK Programme and a member of the Advosry Group for the Design Museum 'Design Ventura' programme. He was a founding member, and Associate Director of redLoop, Middlesex University’s ground-breaking ‘transition space’. Along with Dr Andy Bardill (Director) and Dr Kate Herd (Associate Director) they set-up a new concept that brought together the traditional university innovation centre and knowledge transfer approaches through the channel of a multi-disciplinary design consultancy. redloop uses design thinking and commercial innovation to develop new incomes streams for the university, lead complex projects with commercial clients and support placement and internship in under-graduate students and graduates. His work spans many sectors and a disparate range of public engagement arenas. He was Principal Investigator for the British Council funded 'Jua Kali – Informal Sector Manufacture Project' bringing together local artisans in informal settlements in Kenya, community groups, local and international researchers and academics, formal industry and governmental and non-governmental representatives to co-create plans for sustainable development in energy, waste management, employment and policy in the informal economy. From this, he founded madegood.org and the 'Fuel From Waste Network', which he continues to lead, exploring routes to sustainable transition energy in informal communities in Kenya and Sudan through participatory actions. He also has significant experience in event, installation, experience and exhibition design, build and management. His recent work includes conceiving, founding and running SMASHfestUK, with The Refinery; creating large scale mechanical installations such as the Globe of Dislocation, exhibited in the Royal Observatory Courtyard in 2014/15 as part of their Longitude Punk'd Exhibition and the Stained Glass "Car of the Future" – a physical thought experiment with designer Dominic Wilcox for BMW, Mini and Dezeen and designing and designing and running 'Robot Overlords', an immersive robotics experience, exploring the perception and reality of robotics technology and social penetration for London Design Festival 2015. Connecting formal and informal learning experiences and environments. Widening participation in STEM, the Arts and Design, in underserved and under-represented communities. Breaking down barriers between disciplines and creating meaningful multi-disciplinary/multi-sector collaborations. Building insightful and resilient mindsets in young people.